Nobody who lives in Oklahoma is a stranger to the damage that can be done by hail. Hailstorms are a constant threat across our plains, particularly in the summertime, and are much more damaging than you might imagine. You’d be surprised at the amount of damage and destruction these small balls of ice can cause to a home’s roof! That’s why you need Above It All Roofing and Construction, Inc to provide hail damage assessments in Tulsa after big storms. Hail can cause pitting, holes and tears in your roof, with the damage compounded when larger hailstones are involved. The problem is that, in many cases, you may not even notice the damage until much later. It’s tough to notice the damage from the ground, and you won’t know until you start to see leaks several weeks later that hail is actually the culprit. 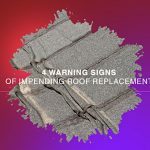 One little known phenomenon of hailstorms is “bruising” of the shingles on a roof. Hail striking the shingle causes micro-tears on the underlayment, which can then widen and allow water to seep into a home. It may take months before leaks occur, and leave you puzzled about their source. Our experts know how to look for the signs of underlayment bruising so we can take steps to repair it. When a storm containing hail hits, call us. Our team will walk you through the entire inspection process, and even help you file your homeowner’s insurance claim so you’re sufficiently compensated for any damage. We know that filing a storm damage insurance claim can be a frustrating and confusing process, but you can feel rely on our proven expertise in hail damage repair in Edmond OK to help you. Here’s an overview of our hail repair process. 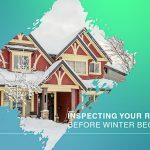 After a hailstorm, contact Above It All Roofing and Construction, Inc to schedule a visit your home or business for a professional property inspection. We’ll assess visible damage, take photos, and note the date of the storm. You contact the claims department of your insurance company and request an insurance adjuster inspection. We can provide documentation, estimates and all other supporting materials for your claim. When claim is approved, you’ll get two payments: one from the insurance company and one to cover the cost of the roofing materials. 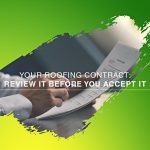 Once materials are delivered and the local building inspector has conducted an inspection, you can approve the job before submitting the last payment. 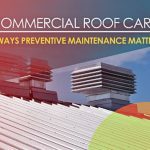 Our roofing contractors complete the work and you get a hail damage-free roof! 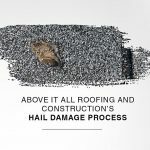 To learn more about our hail damage services and to schedule a free roof inspection, contact Above It All Roofing and Construction, Inc today at one of our two main locations: 6575 E Skelly Dr Tulsa, OK, 74145 (918) 398-6595 or 16325 N May Ave, Suite A10, Oklahoma City OK (405) 843-2533.